WATERFORD TWP., Mich. - Five people were shot early Friday morning at a Michigan roller-skating rink during a private holiday party. 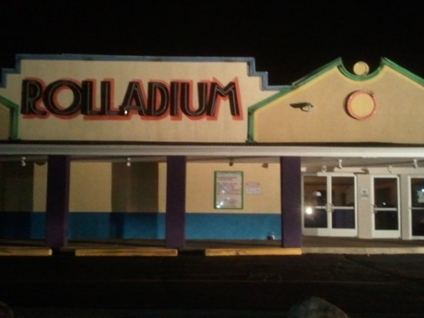 The shooting occurred at Rolladium about 1:45 a.m. as a private party billed as an 18 and up "Roll Up" was coming to a close, rink co-owner Kurt Anselmi told CBS Station WWJ. "As people were leaving, a fight broke out inside," Anselmi told WWJ correspondent Mike Campbell. "The shooters came in the exit doors as people were leaving ... fired a number of shots - we don't know how many - and turned around and ran out." Police are now searching for three gunmen. The shooting victims were taken to the hospital. Their conditions were not known though they aren't believed to be life-threatening. Anselmi said the last time they had any trouble like this at the rink was back in the '70s.